Ongoing feuds with members of his own party have isolated Trump as he struggles to implement his agenda. Trump's public fights on social media have only grown more intense including with members of his own party. Trump has reportedly found himself isolated in a White House that's far more subdued under the direction of chief of staff John Kelly. A cadre of White House insiders and close associates of President Donald Trump have painted a grim picture of an increasingly volatile Trump, who in the last few weeks has found himself at the center of near-constant battles that have frequently spilled out into the public. Trump's most recent feuds, social-media spats, and public wars of words have pitted the president against critics — a handful of whom are from his own party. And the arguments have become increasingly bitter; a reflection of a volatile and isolated Trump, people interviewed by The Washington Post said in a report published on Monday night. A person close to Trump likened the president to a "pressure cooker," according to The Post; someone who could "explode" if not given a chance to "blow off steam." "I think we're in pressure cooker territory," the person told the newspaper. The report comes at another challenging time for Trump's still-nascent presidency. More than nine months into his first term, Trump has not yet succeeded in implementing the ambitious agenda he touted on the 2016 campaign trail. Repeated failures to repeal Obamacare have been a consistent source of angst for Trump, and his immigration agenda has suffered a number of false starts before the US Supreme Court handed the administration a nominal victory in June on the president's controversial travel ban. Trump, along with a Republican-led Congress has now turned its attention to tax reform, but Trump's behavior in recent days could throw that effort into doubt, partly because of Trump's latest battle with top Republican Sen. Bob Corker, who said last weekend he was concerned about Trump's ability to lead, and the president's penchant for brusquely speaking off-the-cuff on foreign-relations matters and issues of national security. In an interview with The New York Times, Corker said Trump's rhetoric could put the US on the path to World War III, and in a critique of the president's behavior, Corker likened the White House to an "adult day-care center." The NFL and players who kneel in protest of racial injustice during the national anthem. San Juan, Puerto Rico Mayor Carmen Yulin Cruz, who criticized the government's handling of hurricane relief efforts. The Post reported on Monday than some close associates of Trump said the president's angst stems from some lingering open wounds; voids that have left him feeling cornered, with few people left to soothe his frustrations. Jonathan Ernst/ReutersTrump's longtime confidant and head of Oval Office operation, Keith Schiller, recently left the administration and, because of chief of staff John Kelly's strict oversight in the West Wing, Trump is left with few people with whom he can blow off steam, The Post's report said. 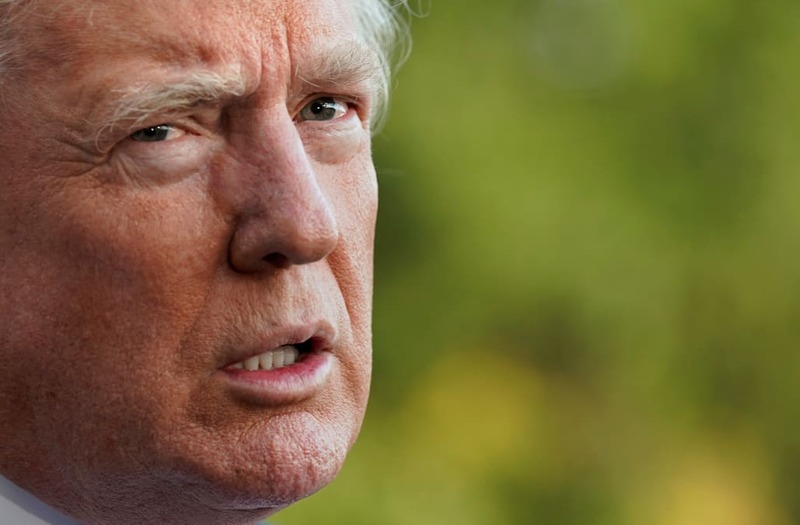 Less than a month before he won the election in a shocking victory over Hillary Clinton, The New York Times wrote of an "increasingly upset and alone Donald Trump," a then-candidate fuming over near-constant GOP repudiation in the dwindling weeks of an explosive presidential race. CNN would take a similar tack in late May this year, weeks after Trump fired FBI Director James Comey ahead of his first foreign trip as president. The ongoing tirades — covering everything from his displeasure with people he considers disloyal, to outrage over media coverage and more — show no signs of ending.